Parents: When was the last time you spent the evening filling out forms for your kid’s classes or activities? Chances are, it was a one-off form with no opportunity to save the basic information to be used again in the future. Payment Scholar, a Detroit-based startup, is on a mission to save parents time by automating the process and taking it online. Melanie de Vries, co-founder and CEO of Payment Scholar, describes her company as a cloud-based payment, registration, and reporting platform for K-12 schools. Parents can use the site to sign their kids up for classes and activities, and they can also store information they’ll likely need to input again, such as a list of their kid’s allergies. Schools can use the site to collect payments, oversee registration in classes and athletics, and digitize school forms. De Vries, who is a past executive with ForeSee Results and The Learning Care Group, is also a parent. She was inspired to start the company after experiencing the inconvenience of traditional methods schools use to collect information and fees. Payment Scholar plans to make money by charging schools a set-up fee and an annual, per-student subscription fee. Parents will also pay a fee of 3.95 percent on every transaction, de Vries said. The company is part of the Bizdom accelerator, and it just closed on a $100,000 investment from Bizdom as part of a $500,000 seed round. De Vries said Payment Scholar is actively looking for more investors and hopes to close on the remainder of the round in the coming months. 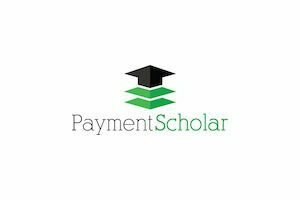 Payment Scholar is also in the middle of a pilot with the Pinckney, MI, school system, which is serving as the company’s beta test. De Vries said that, within five years, she hopes at least 800 school districts nationwide will be using Payment Scholar. There are just under 14,000 school districts in the country, representing a market worth $31 billion in fees collected, she added. The company has competitors, she said, but Payment Scholar is the only one offering a system to do registration and payments along with a “reporting portal” for schools.